As a family-owned and managed business, Snell Motor Companies values our team members like part of the family. We are proud to have many employees who have been with Snell Motor Companies their entire careers and worked alongside us to grow our business in Texas over the past 40 years. Our Land Rover centre started with one Range Rover inside Snell Buick and today Snell Motor Companies is one of the largest volume of Land Rover sales in North America. 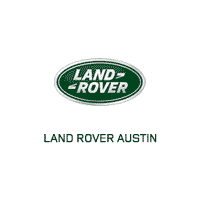 Centres include: Land Rover Austin, Jaguar Austin, Land Rover Dallas, Jaguar Dallas, Land Rover Frisco, and Jaguar Frisco. High-end automotive dealer has an entry level position available in our Parts Department. We are looking for a highly motivated person who is dependable, reliable, and is a fast learner. This position provides a chance for further advancement. Previous experience helpful but not necessary. Please respond with a copy of your resume. To provide potential customers with accurate information that allows them to appreciate and fully understand the uniqueness and value of Land Rover products in order to help them make an educated and well-informed purchase decision. Also helping to provide the best ownership experience through continuous contact after the sale. To carry out service and repair work efficiently and to high quality standards by maintaining and developing skill levels in all aspects of repair, service, and maintenance of Land Rover vehicles to ensure complete customer satisfaction. To coordinate with customer requirements for service and repair of vehicles efficiently and courteously to ensure customer satisfaction, working closely with all members of the Centre team to maintain standards of quality and excellence. Snell Motor Companies provides competitive compensation and benefits such as 401K, medical & dental insurance; life & disability insurance, and vacation pay. As part of the Land Rover family, employees receive extensive product and customer service training as well as rewarding incentives to become masters in their field. Snell Motor Companies is an equal opportunity employer committed to a safe, drug-free work environment. Pre-employment drug screen and background checks will be conducted. A valid driver’s license and good driving record are required. Current open positions can be found under About Us/Careers on each respective website.